Taking in the view on the way up the mountain for a day of backcountry skiing at Turnagain Pass, Alaska. Image credit: Chris Little. Born and raised in Alaska, Sarah Allan spent her early childhood in Thorne Bay, on Prince of Whales Island. The daughter of two science teachers, she had little chance of making it to adulthood without at least a minor knack for science. From the age of 5, Sarah had declared that she wanted to be a marine biologist when she grew up. Sarah’s passion for science took root at a very young age, and she found it to be a good fit for her inquisitive and methodical nature. Sarah was an avid reader, and found inspiration in the words of popular scientists, such as Rachel Carson, Carl Sagan, Jane Goodall, and Jacques Cousteau. As she began her studies, she found her niche in biology, ecology, and toxicology. She received degrees in marine sciences and marine biology from Universidad Católica del Norte in Chile. Her graduate thesis work about the impacts of mining run-off on a proposed biomonitoring species and the effects of dredging on benthic infauna put her on the path to ecotoxicology. While working as a marine biologist in Chile, Sarah decided that the best path to participating in the scientific process in the way that she wanted was to continue her education. She returned to the U.S. to complete a doctorate in environmental and molecular toxicology at Oregon State University, where her research focused on methods for assessing the bioavailability and toxicity of complex mixtures at Superfund sites. Sarah wanted to work for NOAA — where a number of different programs appealed to her varied interests, meeting at the intersect between toxicology, biology, research, applied science, and public service. Her doctoral and postdoctoral work in particular were very directly related to a lot of the work NOAA’s Office of Response and Restoration does — though she did not know that at the time. SARAH CURRENTLY WORKS as a toxicologist and regional resource coordinator in Alaska for OR&R’s Assessment and Restoration Division. When she first stepped in to her current role, most of her work focused on planning for natural resource damage assessment (NRDA) and restoration in the Arctic. Arctic preparedness continues to be a priority, though she also leads ongoing NRDA cases in Alaska, participates in numerous statewide oil spill planning, response, and assessment efforts, and is involved in scientific research that informs injury assessment work across the country. Sarah’s job takes her anywhere from a cubicle to the field, interacting with people and communities in Alaska, and collaborating with other agencies and partners. Though one of the drawbacks to being a toxicologist is that a lot of her fieldwork is carried out in heavily impacted areas, such as Superfund sites and oil spills. 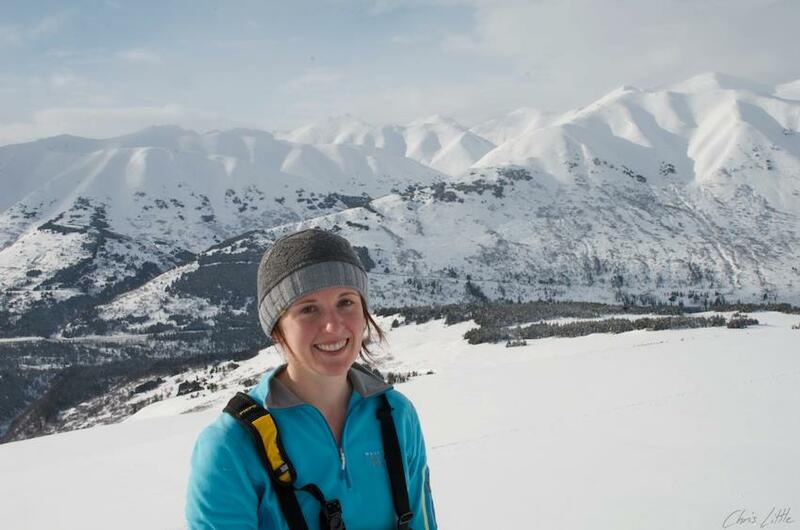 Throughout her field work, Sarah has spent a lot of time in remote areas and relatively extreme conditions in Alaska. Her field adventures have included everything from collecting snow samples at minus 32 degrees and dissecting fish in 45 mph winds, to keeping an eye on a polar bear in the distance while trying to retrieve a sample. 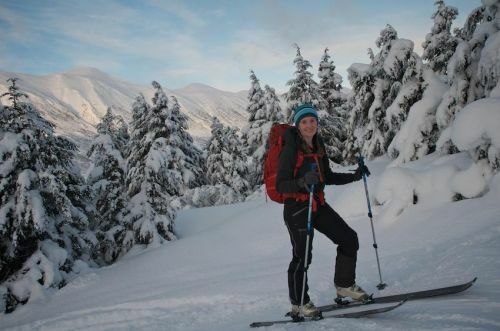 Outside of work, Sarah enjoys being active outdoors — often with her husband and their young daughter— doing backcountry skiing, hiking, trail running, cross-country skiing, and rock climbing. Looking ahead, Sarah plans to continue her work with NOAA conducting research and using science to inform decision-making and improve environmental and human health. Exposed permafrost on an eroding coastal bluff in the Bering Land Bridge National Preserve. Field work assessing oil spill response and damage assessment plans in the Northwest Arctic in collaboration with the National Park Service. Image credit: NOAA. Pulling boxes of field gear through the streets of Kaktovik, Alaska for a spill of opportunity study on diesel transport and persistence in Arctic conditions that was done in collaboration with the North Slope Borough. Image credit: NOAA. Just starting the uphill climb on a beautiful day in Turnagain Pass, Alaska. Image credit: Chris Little.